Welcome to the Artistic Outpost Product Focus Blog Hop! This month the designers have created projects using the stamps found in the Masculine stamp set category on the Artistic Outpost website. Along with the Product Focus, all stamps in the Masculine stamp category on the AO website are on sale for 20% off through June 6, 2015! 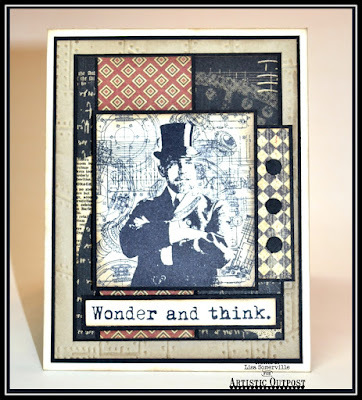 I created the focal image by stamping the image from Loverly London in Black ink on Vanilla card stock, masking the image then stamping the background using one of the stamps from the Industrial Backgrounds stamp set. The sentiment is from Think and Wonder. I call him "Magic Man", that's what he looks like to me, only no rabbit! Great use of that image on your card GF! 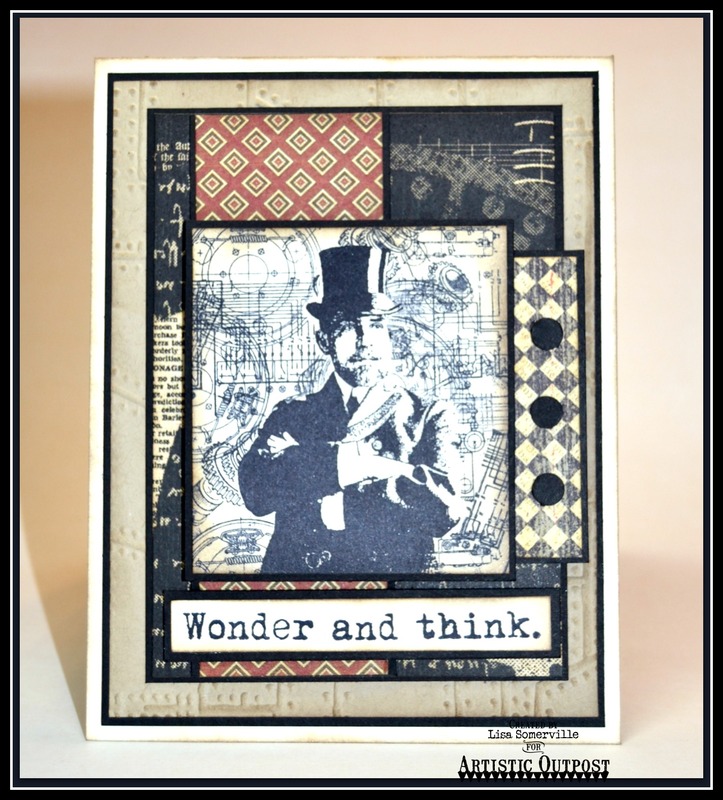 Lisa, fabulous mixed of AO stamps and great masking! As always I love your use of papers, so masculine!